At this time, this is the only picture of the Kingsvale area that I have. I want to revisit this area so I can get a picture of the an old out building. However re-alignment of the paved road took out the last remaining outbuilding here. Even this bridge has been removed from its foundations. There are still a few residences being used here. This area is accessed by taking the Coldwater Exit and going underneath the Coquihalla and heading towards Merritt. 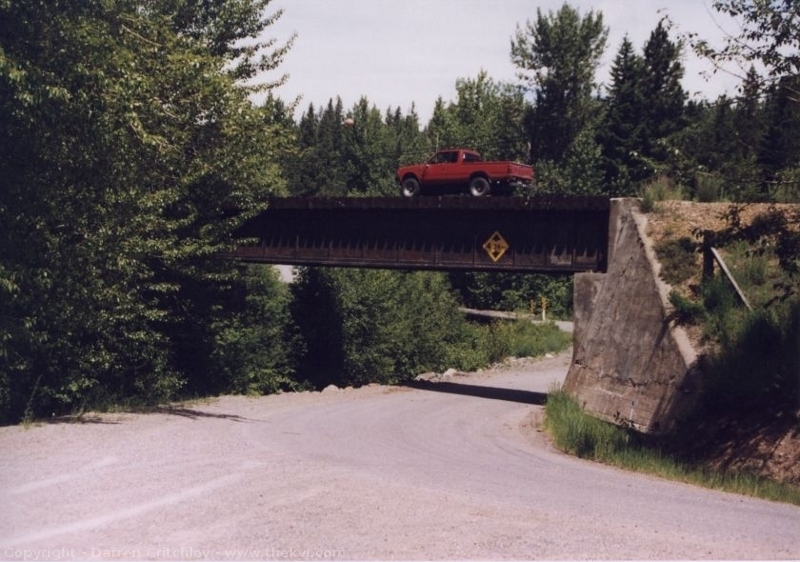 If you don’t go under the Coquihalla, you can go to the Wye at Brodie or continue up the road to the town of Brookmere .